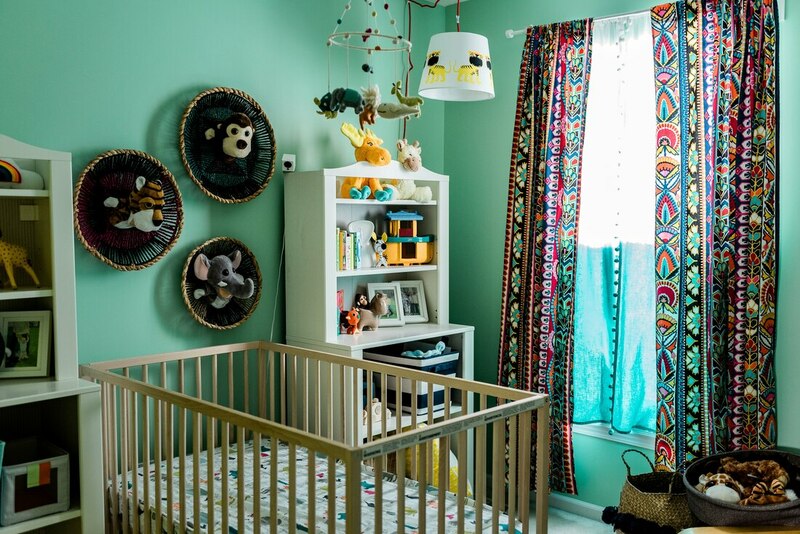 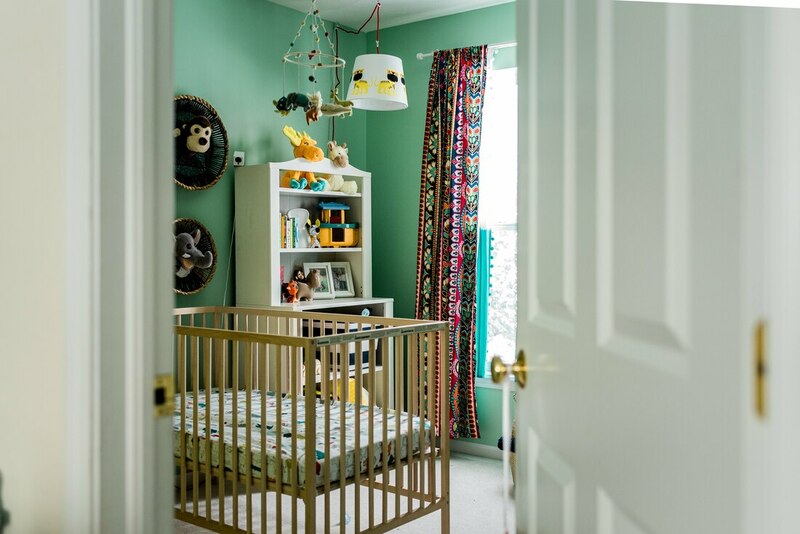 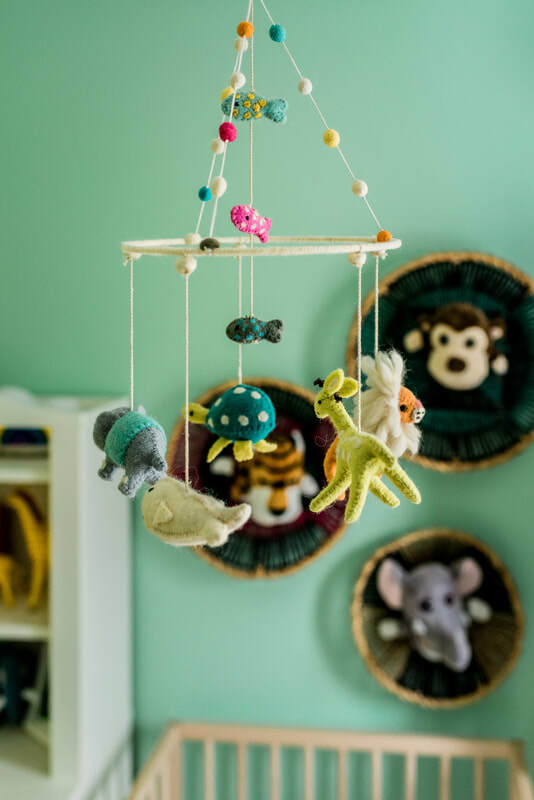 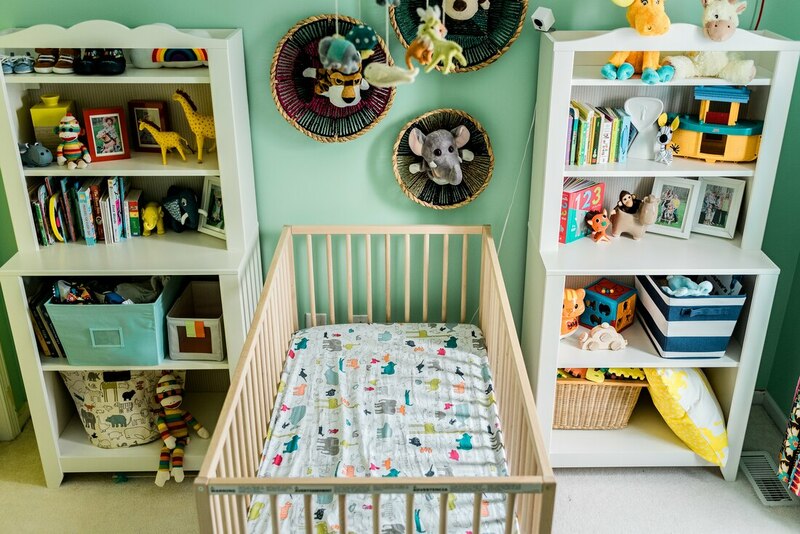 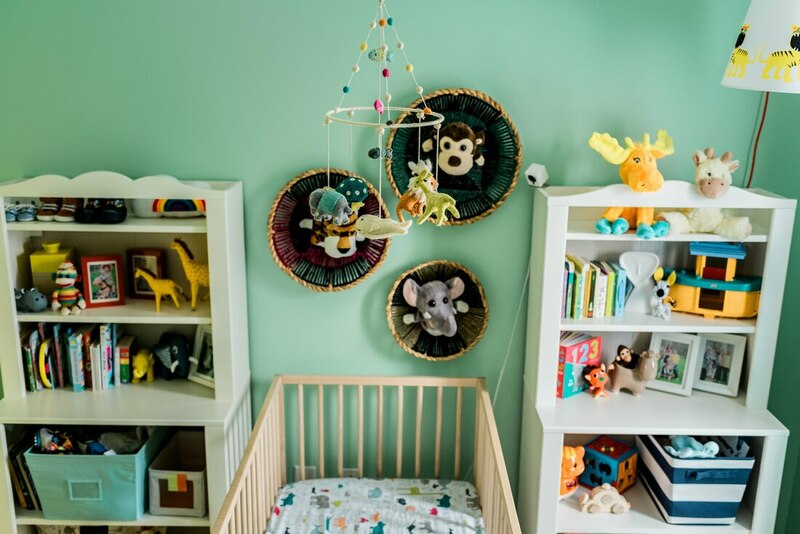 A long-anticipated baby boy gets a Safari Themed nursery designed to inspire a Life of Adventure! 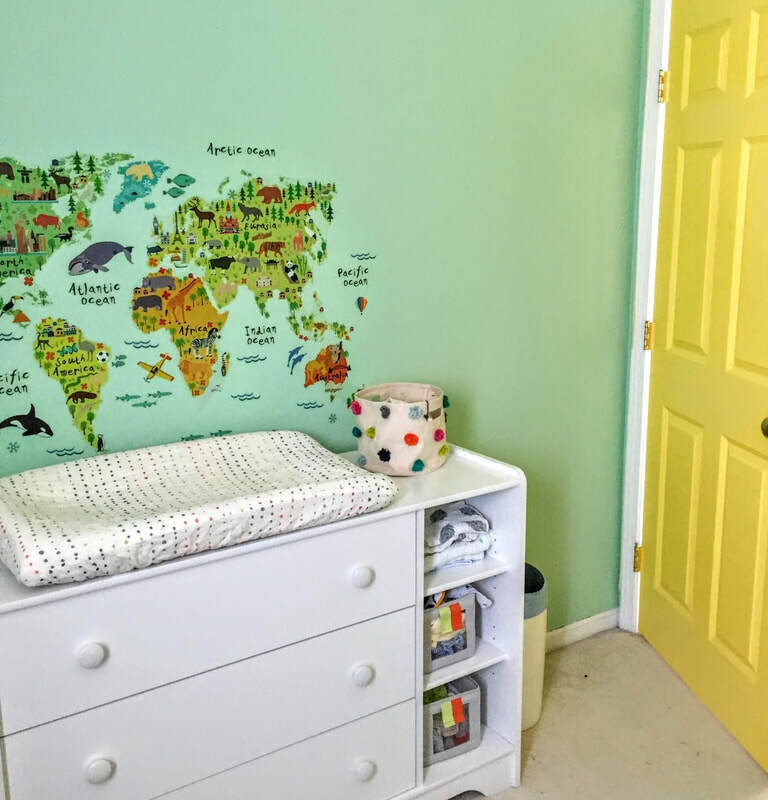 This third child was a sweet addition to a family with two little girls. 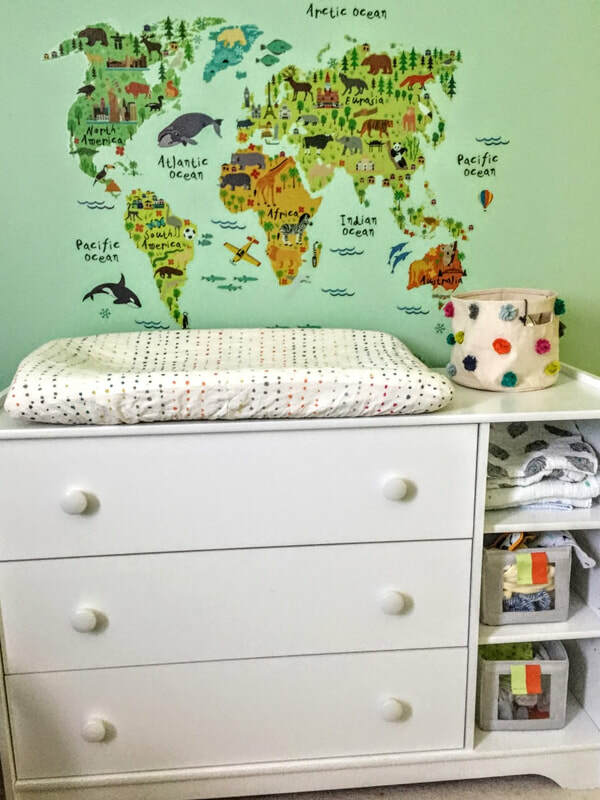 The birth of a baby boy was an exciting adventure and this family wanted to combine their love of travel, express their excitement of welcoming a little boy to the family, and to inspire their baby boy to live a life full of dreams and adventures! 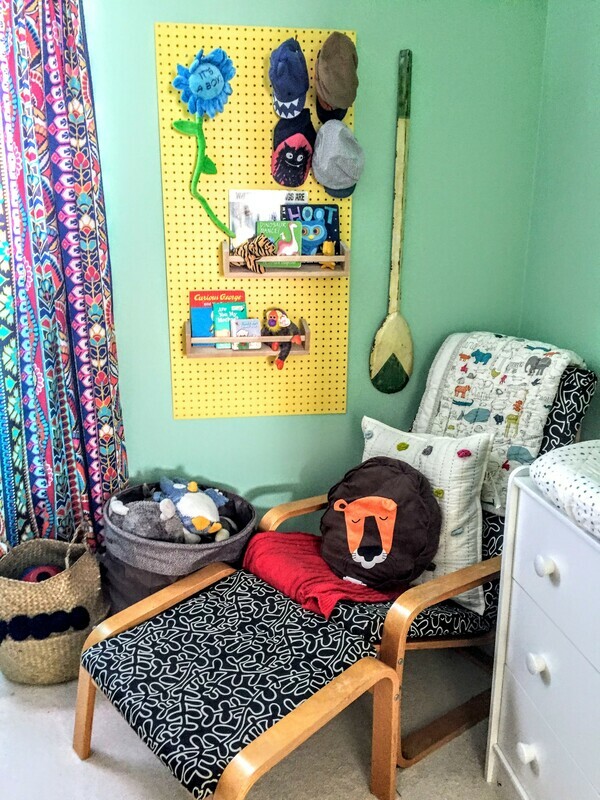 Fun, bright colors, bold geometric patterns, touches of soft wool, felt, cotton and plush animal heads fill this room with life and laughter. 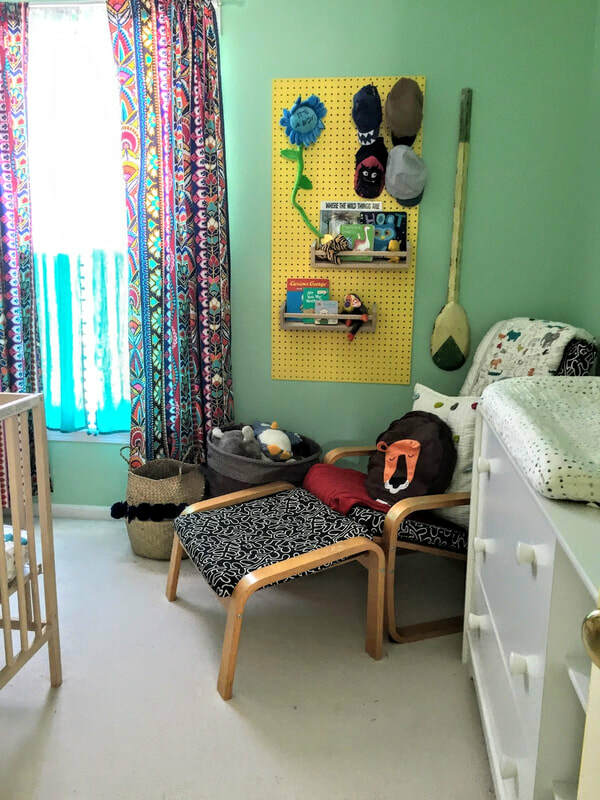 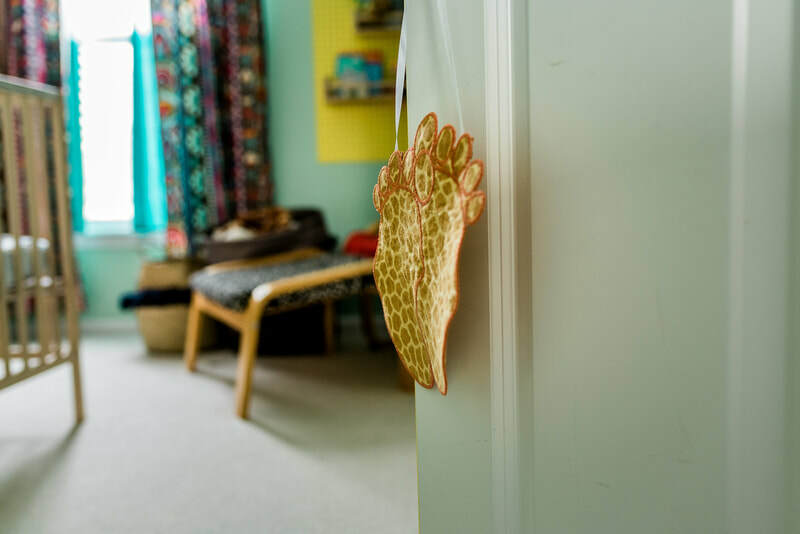 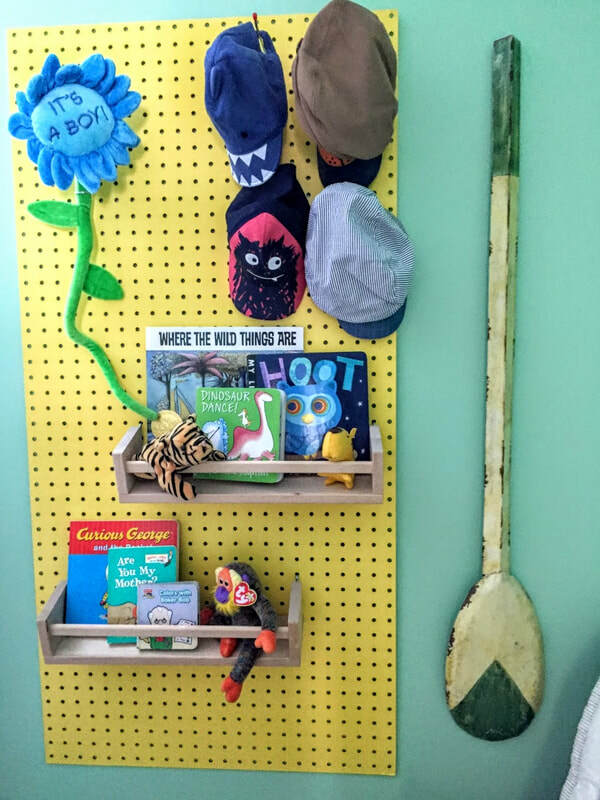 The pegboard is both practical and punchy - a fun place to display books, favorite toys, momentos and clothing.